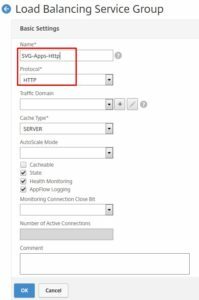 This post will cover load balancing in Netscaler with reverse proxy or SSL proxy or SSL offload. 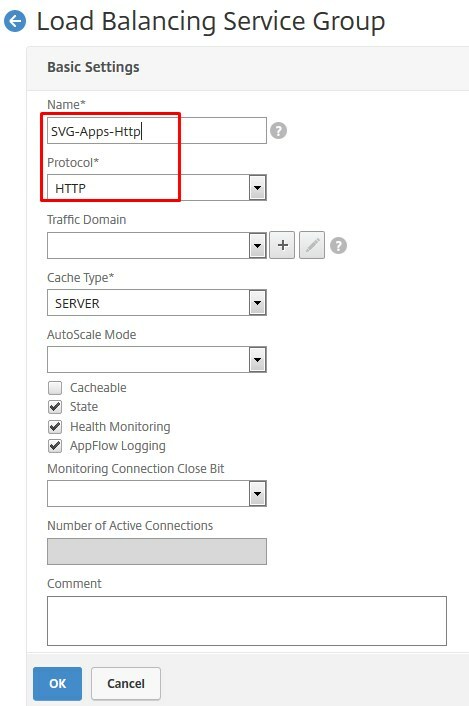 There are many confusions out there how to do reverse proxy or ssl proxy or SSL offload, In Netscaler terms its very simple Select SSL as the virtual server type and bind a valid certificate to it, then you are done with the configuration. It is as simple as like that. We will take a scenario and cover this in this post. 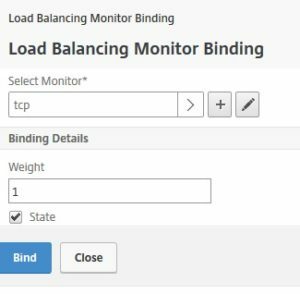 We are having two web/app servers in the internal need to be load balanced. 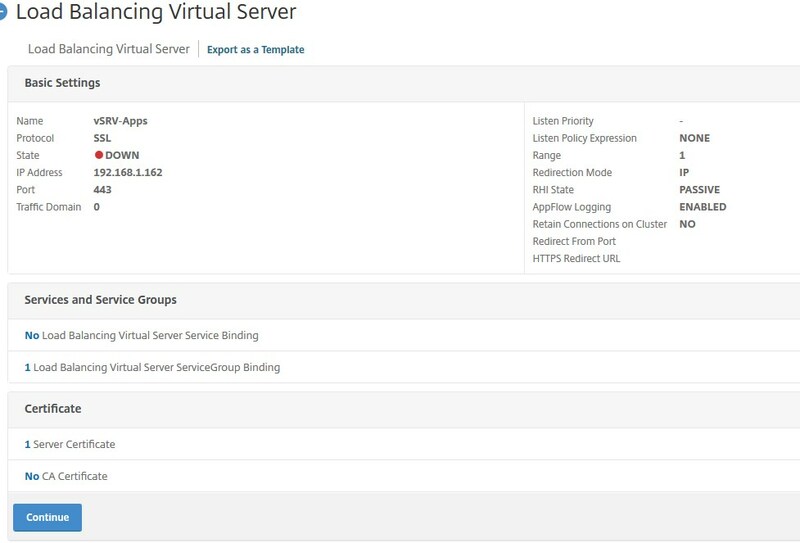 Our servers are working on port TCP_80 (http) however we want users to connect on HTTPS TCP_443, servers to be load balanced and netscaler to act as reverse proxy and do SSL offload. Already installed in Netscaler with key file. 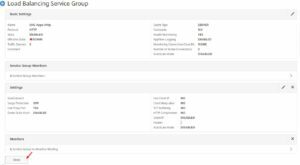 As we have seen above our servers will listen on port 80 , Netscaler will load balance and do reverse proxy on port 443 (https). There are cases you might have more than two servers and i have seen some cases where people have only one server. In some cases your backend port is not 80 it might be 8443 or 443 or something else. In all scenarios this post will apply to them. Step 1: create the servers. 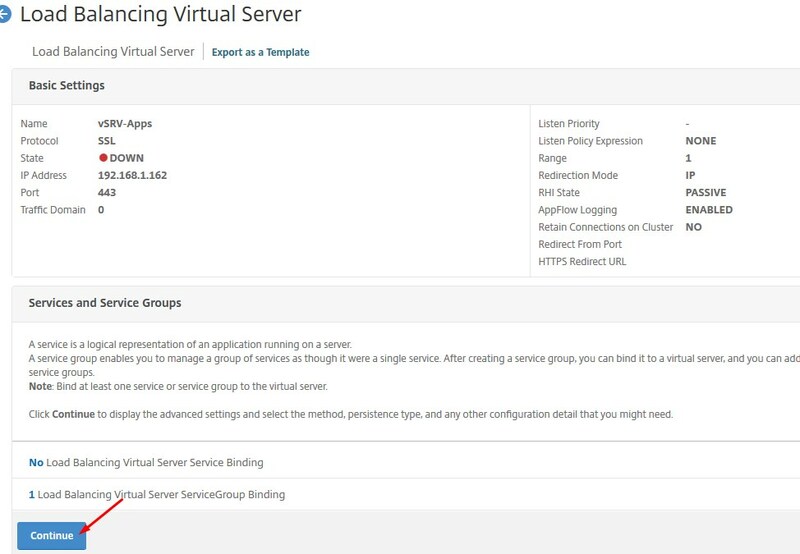 Step3: Create load balancing virtual server. Add both web servers, provide Name and IP and Create. 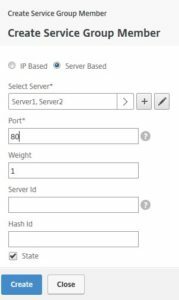 Both the servers are shown below and state should be enabled. Please note enabled green means from netscaler its enable, But whether it is listening to port , working or not will know after creating service group. 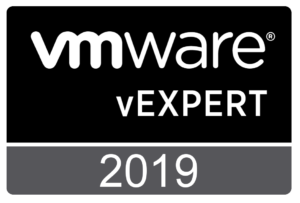 Please note if your backend server in on SSL select SSL here. 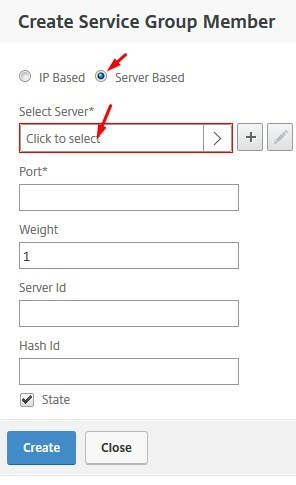 Click on add memebers to add above servers created. 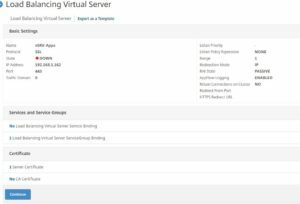 select both servers and select. 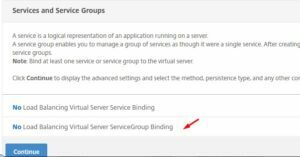 select port 80 and create , this will bind the servers to service group. if your server is listening on 443 or something else, need to mention here. Add Monitors as shown below, click on Right monitor and select on it. 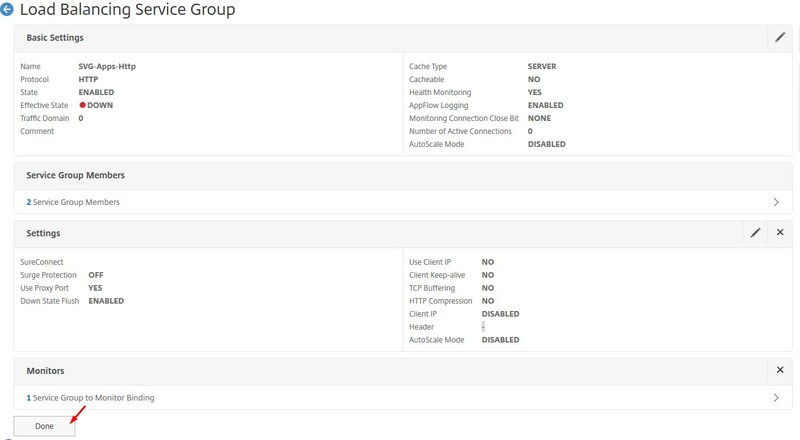 Now as you can see the service group is created and UP, meaning all the backend servers are reachable and working. Click continue for further steps. 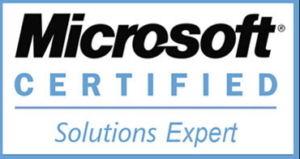 Select server certificate to bind certificate. 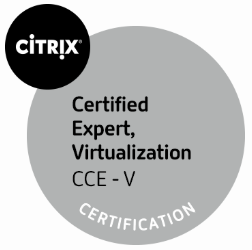 select the certificate and select. 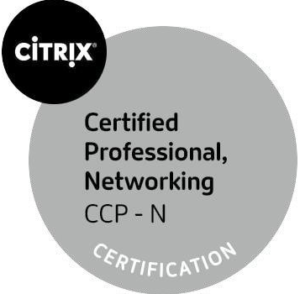 review and bind the certificate. If you like to disable SSLV3 or other weak protocols it can be done as shown below, ignore this if not required and click done. unselect what ever not required. review the whole config and click done. The final thing to do it check the service is up and click save. Now comes the testing, as seen below my server is listening and working on http as shown below. Our URL is apps and certificate is also for apps so there are no SSL errors. 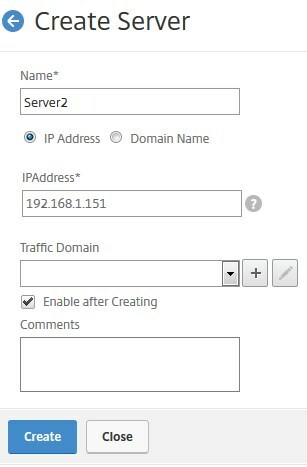 as shown below our Reverse proxy/SSL proxy or SSL offload is working. The same http URL is working on HTTPS now. Hope this post is useful, leave your comments and suggestions. the virtual server IP is the IP users will connect to. 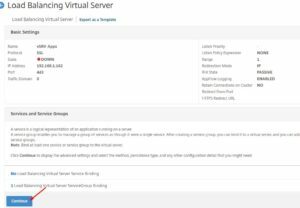 it can be created under configuration – traffic management – load balancing – virtual server. 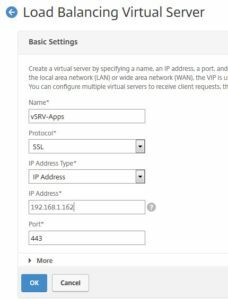 create the DNS record on your DNS record for your url to the virtual ip in netscaler. 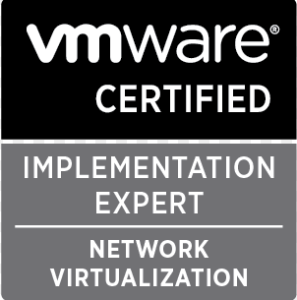 feel free to refer my netscaler basics blog which covers some theory about IP’s. Does this work for OWA setup too? for exchange for just reverse proxy set source ip base persistence to 20 mins or more.